Where should you go if you want to get away from the city, enjoy a dog-friendly beach, surf, eat, and relax? All without leaving the continental United States? Well, Ocean Beach, San Diego, of course! The laid back California lifestyle is no secret, but Ocean Beach, a neighborhood in San Diego, is one of the most chill beach towns I have ever had the pleasure of visiting. The first thing you’ll notice is that most of the buildings are not taller than two stories, meaning that you can look out and up without anything obstructing your view, unlike most of the metropolitan cities in the world where some of us live and try to get away from for our vacations. Most of the structures are one story homes or cottage-style residences, giving the entire neighborhood a very comfortable and homey vibe to it. 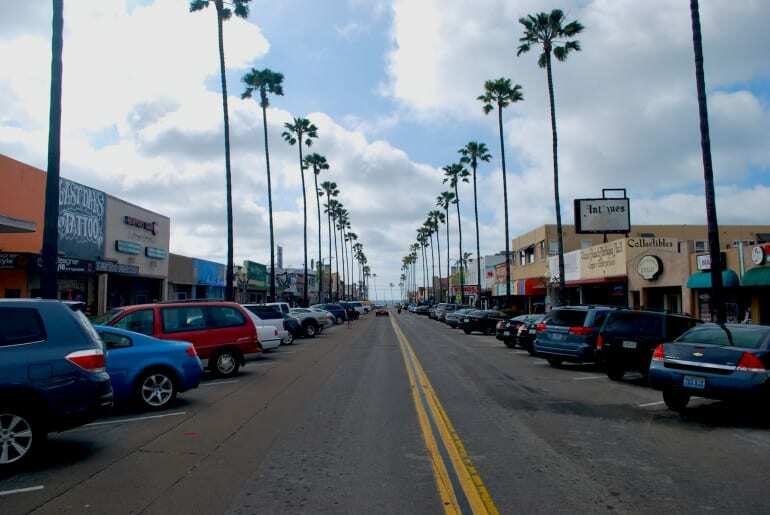 Wherever you are in Ocean Beach you are walking distance from the beach – the name of this hood is not just for kicks. Those who are locals here can easily be detected as they use their favorite mode of transportation – feet or skateboard, holding onto their perfectly waxed surf board, seeming as though they just walked straight out of a 70s California Dreamin’ music video (The Beach Boys knew what they were doing there). 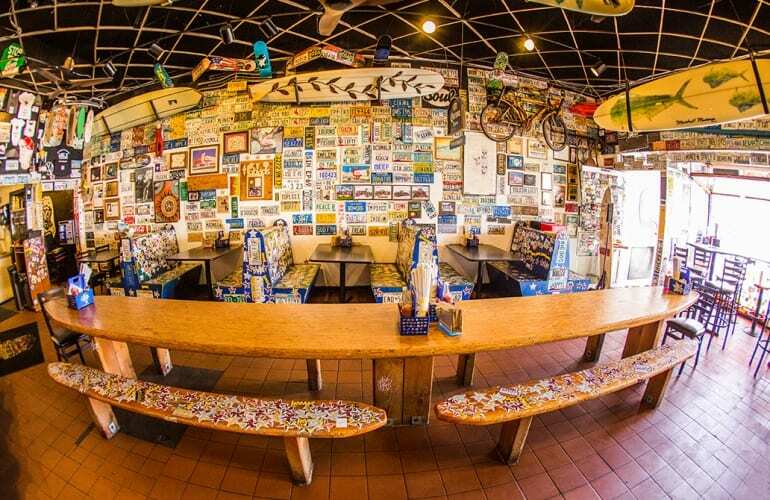 The residents are a great balance of an older and younger crowd, and usually work around Ocean Beach in the plethora of restaurants, shops, and other small businesses lining the streets around town. The weather here is absolutely perfect, most of the year the temperatures are the same – dry all the time, with evening lows of 60s and highs of 70s-80s (with the occasional heat spell in the summertime). It’s very hard to be in a bad mood while in Ocean Beach, everyone around you is in a good mood and friendly, it’s contagious! Right in front of the entrance to the beach, there is a two-story complex with rooftop bars and restaurant, try the lobster bisque and hand-made sandwich deal, or the bottomless mimosas while at breakfast or brunch, they are sure to give you a great start to your day. You could also choose to walk down Newport Avenue, where you will find spot after spot for good eats and drinks, people socializing non-stop and the general buzz of fun all around. 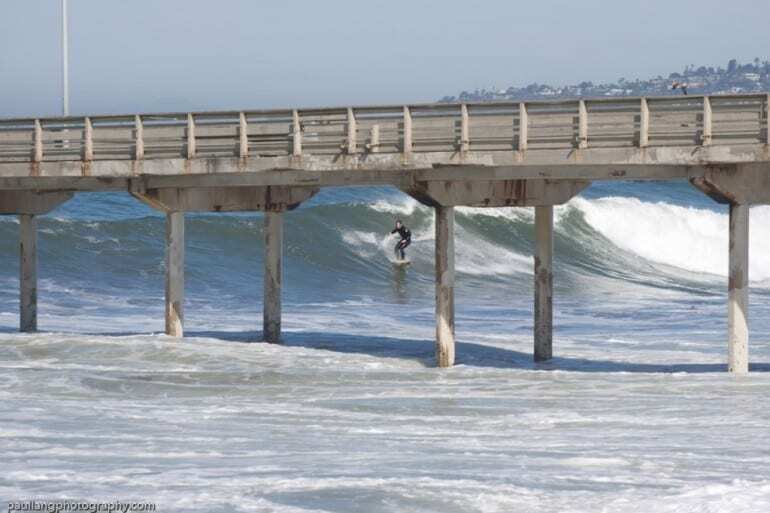 Those who like to fish, you can fish off the OB pier for free, no fishing license needed! You’ll see plenty of folks doing just that, managing to catch themselves some nice fishy loot. If fishing isn’t for you, you could walk down to Sunset Cliffs and sit down to watch the waves break on them; a feeling of relaxation is sure to wash over you when you just sit there and listen to the waves, while watching the ever-spectacular sunset. 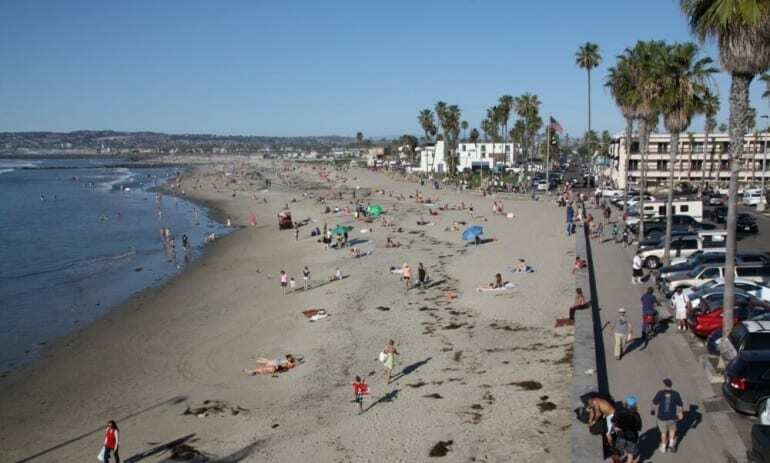 If you get a little too relaxed and want some action, you are a short drive from Pacific Beach and the endless bars in the area that are open quite late. You are also no more than 30 minutes away from downtown San Diego, where you will find plenty of attractions that are suitable for everyone. However, don’t be surprised if you find that you get homesick for OB very quickly, there is something about the place that manages to get you hooked; I think it’s the entire atmosphere of community, relaxation, fun, and care-free mentality that has me coming back again and again.